We were honored to talk about the new crisis year, layoffs and affected industries with Alyona Vladimirskaya, founder of PRUFFI, who is also one of key experts in Russian HR field. 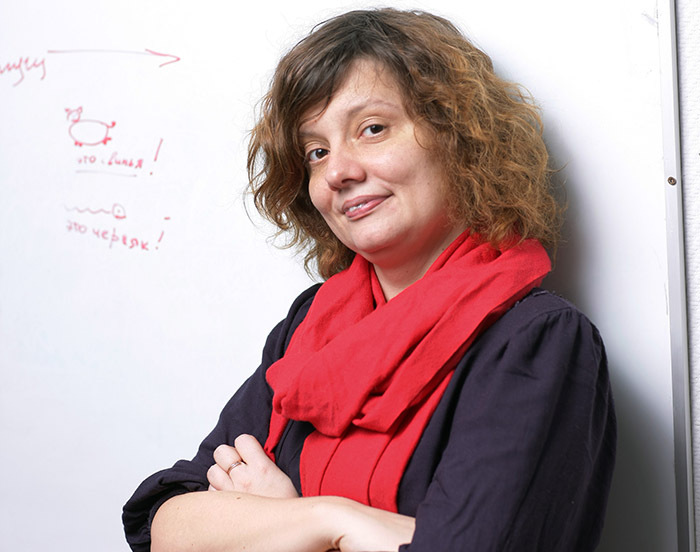 Alyona Vladimirskaya is a founder for PRUFFI recruitment agency which specializes on top managers recruiting. 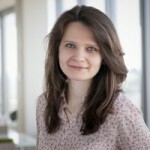 She is also a former project leader for Rabota.RU and former recruiter for Mail.RU Group. Alyona was awarded with “HR Brand” honors. She is currently working on employees’ self-defense course against employers called “Antirabstvo” (Russian: “Antislavery”). – Each crisis has three stages of layoffs. Now we’re located right at the end of the first one. The core idea is that people are getting fired just because of the massive hysteria: business owners understand that they are in a middle of crisis, so they have to cut expenditures from everything that is not profitable. So, obviously, it’s possible to cut a bit more staff than you actually had to. Or they overdo it completely, this case is possible too. Right after this “first wave” of fired employees, businesses understand that they fired way too many, so they start to recruit back those people – sometimes these are the very same people they fired last time. For example, all lawyers were fired, and there is no one left to work. That’s why there are more job ads, but in reality it’s just a hop back, the end of the first stage of massive layoffs. After that, sometimes there is a second stage. Business owners understand that people who work for them for a long time are not as effective during crisis as they could be; they just can’t work on the same level. They are mostly about top- and middle-level managers – these people are getting switched to those who are capable to work during crisis. Newly hired people restructure teams even further: they perform more layoffs, hire new talents and change teams’ layouts. And there is also the third wave, at the end of the crisis. Business owners change their top- and middle managers once again – those who were required to survive to those who will develop the company further. New people are hired again. It’s a typical story for a textbook crisis. It is a bit unusual here [in Russia] because it’s not just about economics; it’s the political one, too. Whatever the case, I don’t think we can possibly expect anything good for jobs market this year. Which areas will suffer the most? — As always, everything is fine with IT and web markets since they are international, it’s harder to push them out of course. It’s going to be okay for low retail networks, especially convenience store networks – this type of business tends to grow during crisis times because people prefer cheap groceries over expensive ones. Debt collectors business is rising – all companies here are credited legally, so they collect debts and earn money. It’s not so bad for agricultural sector too, where import substitution is growing actively right now. All governmental money are sent there; progress and technology development is going smooth over there too. Besides, people will always buy food. Despite all layoffs in governmental environment, it’s pretty okay over there. The government still has money. At the same time, everything that is connected to luxury products and premium lots will suffer a lot. This applies to expensive furs, jewelry, watches – in other words, all of them can be waived. Plastic surgery included – you can survive without new chin for some time. The suffering of car industry will keep growing because people are mostly interested in foreign cars all of which are bought by re-sellers in euros. Until recently, we got used to changing cars once in two or three years but now it’s over. First peak of crisis went smoothly for construction companies, but now it’s getting much worse for them. At first, people were trying to save their money by investing into properties. Construction companies ran out of apartments, while people ran out of money – and nobody is eager to pay new prices. It’s bad for media, same goes for PR – which is a derivative from media. It’s terrible for tourism, people stopped travelling or started going to their relatives instead of resorts. — HR managers who think that their only function now is to hire and survive are fools. The biggest HR careers were built right during crisis. It’s very important to remember that the base cost fund is the fund of salaries. It’s crucial to know how to get more from people for less money, firing all ineffective employees. The role of HR is huge now: the importance of non-money motivation, analysis and qualifications grows extensively. At the same time, you must just forget about good people who you don’t want to fire. HR manager can like Mary, but this is not a reason for Mary to work in this company. I’m not saying to treat people cruelly, it’s just important to apply the right assessment system that is based on a principle of utility. Every business sets its own goals: these people bring it closer, and those do not. That’s why the worst people are leaving and the best people are staying – and that’s how it should be, not only during crisis. Social factors remain, though – it’s not the best idea to fire a single mother with three children. Nevertheless, the company needs to refresh. There should be a minimal amount of ballast and a maximum of qualified people. Remember the Google principle which allows them to develop well: 10% of worst employees are fired each year, their contracts just aren’t renewed. This story is not about cruelty. An HR manager needs to understand that he/she is the base of business; a tool for hire that helps this business to develop further, be safe and evolve. If you are working with resumes and leading interviews, you should be named properly: you are recruiter, talents expert, but not an HR manager. It’s kind of stupid question because every woman knows this: tonight she is not going to marry but she meets Prince Charming in tram tomorrow and – bam – we have the bride here. Different things happen with pregnancy, too. She didn’t want any children yesterday night and – bam – she is happily googling baby carriages. And if HR managers can’t understand that, they are either young or not so smart. What should employees do during crisis? — We [Russian employees] were really spoiled in recent years, unlike European employees. An average worker thought that if something does not suit to his needs or he gets fired, it’s fine – like, whatever you say, for God’s sake, I’ll leave and find another job and my salary will be, perhaps, even higher. Now it’s a completely different situation. You have to keep in mind how your industry will evolve and develop yourself accordingly; you should continuously learn, power up your professional skill as well as your reputation – this way you’ll improve your own value. Besides, you’ll have to take this seriously, with all responsibility. When I was leading the “Rabota.RU” (“Job.RU”), there was the conflict: the department director had a fight with leaders, slammed the door and left. And then all team stood up and resigned right after him, even though we had nowhere to go to. Now I understand that it wasn’t pride but foolishness. One thing is when you share a person’s views; you understand it won’t be the same without him, that’s why you leave. And there is other thing when you just instinctively go after that person. You have to be responsible for your career – always – not only in crisis. Another thing is when you’re a great specialist but your employer went bankrupt. That’s why it’s important to remember that searching for a job… it’s a job too! It’s important to know how to sell yourself, you must have this useful skill. How to search for your first job? — You need to start working as soon as possible while you’re still studying in the university. If you have enough experience by the time you graduate (even internships with no salary will do) – these are great news. Secondly, you’ll have to ask as many people as possible – your acquaintances, your friends, your parents, your parents’ friends. Right, that one question: “Please, refer me for this job”. It can be shameful to ask parents for pocket money but it’s another thing when it’s about first job, it’s absolutely okay since finding your first job can be a very difficult task. An HR manager would prefer to hire someone recommended by other people rather than someone with no experience at all. Thirdly, you should try to do your best with companies you’re most interested in, — through university mentors, internships, etc. What’s important is to choose the company not by the brand but rather for its capability to grow your skills. You should go to job interviews, observe – this is very important. Big branded company can push you to sort out papers for ages, while a middle-sized business can have a mentor who will teach you a lot of things, and your career will grow exponentially. It’s very important to choose people who will “coach” you.